Nani25 to have talented hero? Natural star Nani, who recently wrapped up his soon to be released Jersey has already started working on his next project with Vikram K Kumar. Titled Gang Leader, the film is Nani’s 24th project. Meanwhile, the latest buzz is that Nani’s 25th project after Gang Leader is more or less confirmed with his mentor and director Mohan Indraganti. 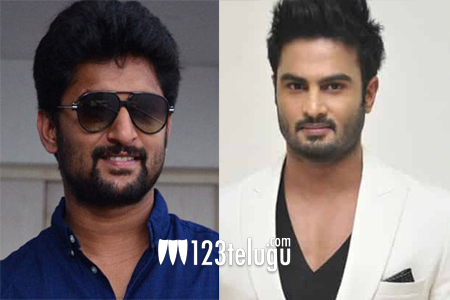 If the news is to be believed, the film is going to a multi-starrer and Sudheer Babu will be seen as the second lead. Sammohanam actress Aditi Rao is in talks for one the lead roles. More details are awaited.